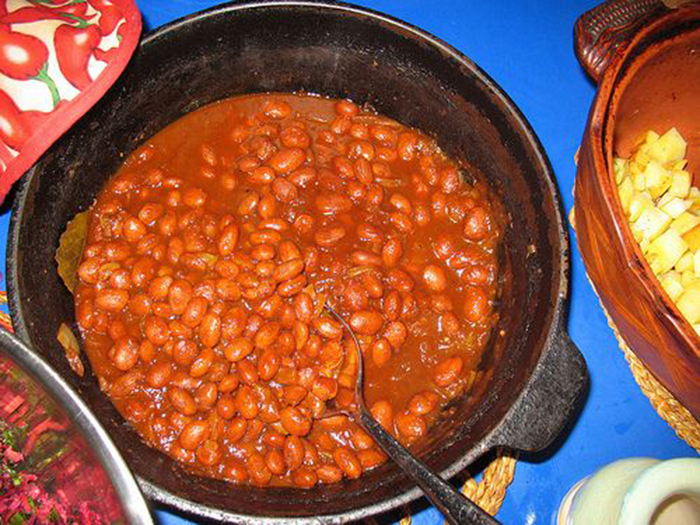 This post will provide you with tips and tricks on how to ﻿freeze ﻿baked beans properly. You can actually prepare this kind of food in advance to prepare for a busy week, too. 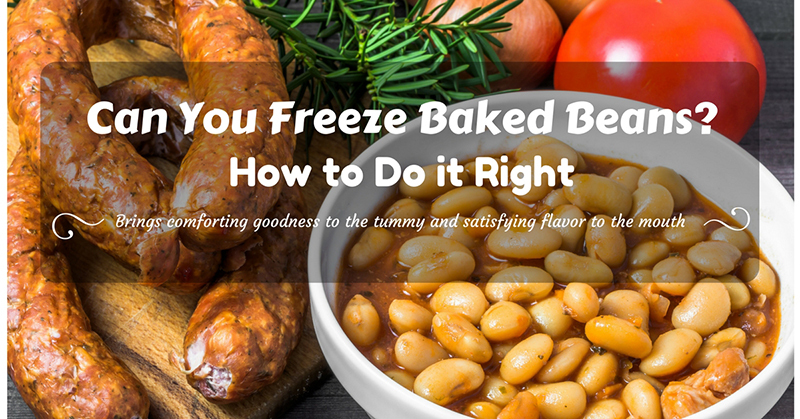 By following the steps here, thawing and﻿ ﻿﻿rehe﻿ating your frozen baked beans will remain healthy, safe, and delicious as well. The sudden change in temperature can cause the container to crack. If this happens, your baked beans will no longer be properly sealed. The hot beans will get a shock from the cold air and cause them to burst open. Cracked baked beans will become mushy when reheated. Note: For best results, you can place the containers of baked beans in the refrigerator first (a few hours) before freezing them. This way, there will be no sudden changes of temperature. Proper freezing of baked beans (video) also involves proper packing and storing. If you don’t do this right, the quality of your frozen food can be affected. Keep in mind that our main goal for freezing this dish is to keep it as fresh and tasty from the day it was frozen to the day that it’s reheated and eaten. Make sure that you’re using freezer-safe containers so that these won’t crack when frozen. The lids should also be airtight to make the frozen food last longer. Don’t jam-pack baked beans in a container when freezing them. Keep in mind that frozen foods can expand – the lid can loosen up when this happens. Using microwavable containers in freezing cooked food will lessen the hassles of thawing and reheating them. It would be even better if these are dishwasher safe, too. Using several stackable containers is more practical than 1 big container. This will allow you to use one portion at a time. Clear containers work the best – this will lessen the guessing game when sorting through frozen food in your freezer. Note: Freeze baked beans as soon as possible to preserve the dish better. 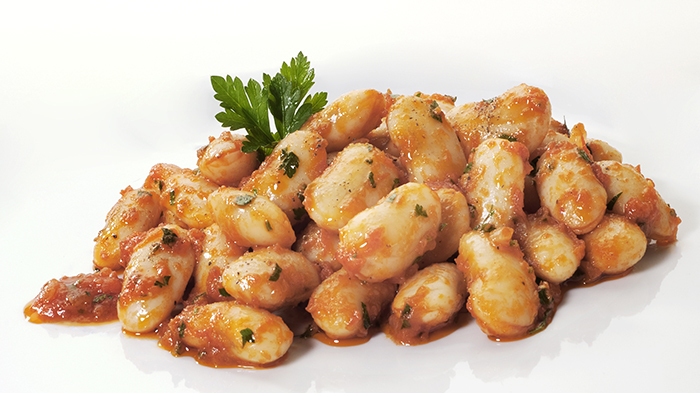 A newly cooked dish of beans can be frozen immediately after allowing it to cool. Leftover cooked beans, on the other hand, should be stored as soon as possible (within the same day). 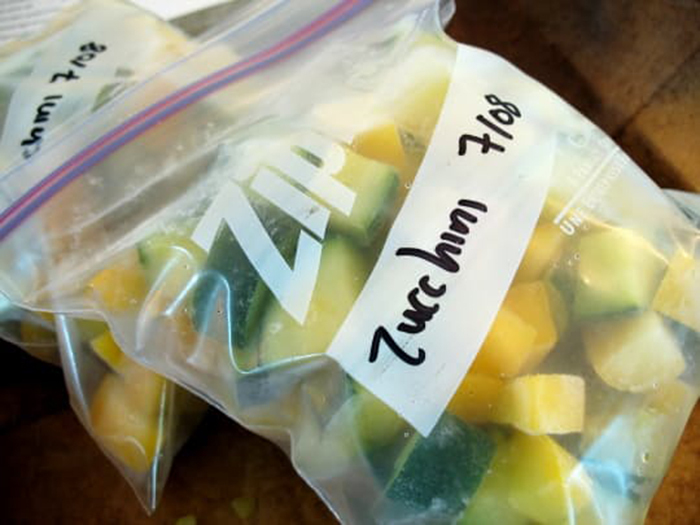 Labeling is good for meal planning as well as in freezing cooked foods. In the case of baked beans, this is particularly important as the dish can still get bad (in time) even when frozen – it will not stay fresh forever. Label the container with the type of dish (in this case – baked beans) and the date when it was cooked and frozen. If you have frozen baked beans with different dates, make sure that you consume those that were cooked first. U﻿﻿s﻿﻿e food labels that are freezer safe. Ordinary labels can peel off because of the temperature and environment in the freezer. Use a permanent marker when labeling food in the freezer. This will ensure that the writings will not get erased. When you want to use your frozen baked beans, you still need to follow certain steps to get the best results. Remember, you want the dish to have the same texture and taste as the day it was cooked. And this is possible – when you follow the methods of proper thawing and reheating. Remove the container from the freezer and transfer it to the refrigerator (you can do this overnight). Reheating the dish will not expose it to sudden changes in temperature because it is no longer frozen solid. When microwaving frozen baked beans, choose the defrost function first. When it’s defrosted, you can then reheat it (at the lowest temperature). If you’re going to reheat thawed frozen beans in a pot, use the lowest setting on your stove. When thawing and reheating frozen baked beans, consume all the portions in one day. It is not advisable to freeze the dish again as the quality is no longer that good. Note: Just as hot baked beans shouldn’t be immediately frozen, frozen baked beans shouldn’t be immediately reheated to high temperature. Always remember that sudden changes in temperature can affect the overall quality of the dish. Baked beans recipe is a type of dish that’s truly delicious and filling. Of course, you can eat it as is – it’s like a full meal already. But just so you know, your leftover frozen baked beans can also be used in other recipes. Chili – As another delicious and versatile dish, Chili recipes (video) will taste even better with beans. Use some of your frozen baked beans (cooked pinto beans work well for this type of recipe). Simply follow the proper thawing and reheating steps– and make your tummy happy. Chicken Recipes – Chicken and beans go well together. You can either include fresh beans (like yellow beans and string beans) or serve them with cooked green beans (also known as French beans) and the like. As Toppings – Beans make for popular toppings – in dishes and in snacks. Just think Nachos with Salsa and Baked Beans (video). Beans are delicious and they’re very easy to cook. To appreciate this type of food, even more, it would be good to know its other benefits. Beans are very affordable. Stock up on beans and you can always depend on these when you have the limited budget in food preparation. Bean recipes come in many different varieties (video). These can be served as breakfast, lunch, dinner, side dish and snack. If you particularly like baked beans, pinto beans, black beans and garbanzo beans are some of your best options for this type of dish. As we are on the subject of freezing baked beans, I would like to leave you with some important reminders. These are all applicable to the storing, cooking, freezing, thawing and reheating this type of food. Store uncooked beans in a cool, dry place – they have long shelf lives. On the same note, there’s no need to freeze uncooked beans as this will do more harm than good. Freezing uncooked beans will affect their quality and affect the texture of the beans when cooked and reheated. An unopened can of beans don’t need to be frozen – they have preservatives to keep them fresh for a long time. They are also sealed pretty good, right? In this case, just make sure that you use them before their expiry dates. To open the can, you will need this can opener. So, can you freeze baked beans? 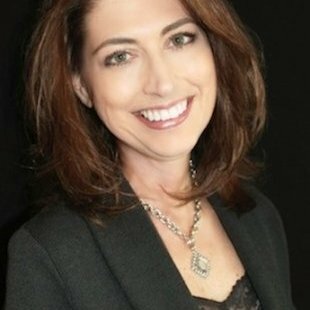 You sure can – and now, you also know how to do it properly. 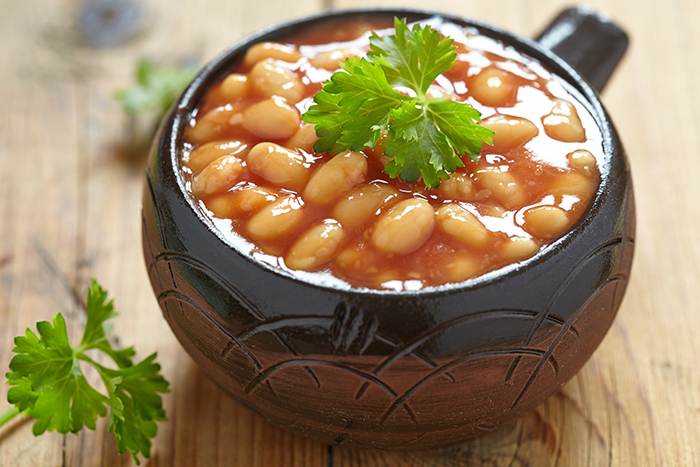 Freezing cooked food like baked beans will save you time and money in preparing healthy meals. And of course, freezing leftover food also minimizes wastage. Also, keep in mind that properly cooked bean dishes will freeze better. In the case of baked beans, make sure that the beans are not overcooked. If the beans are already soft and mushy after the initial cooking, the texture will be even mushier when defrosted and reheated. If this post has been helpful to you, share it with others – so that they can benefit from it, too. You can also leave your comments below. For more Food Storing Guide and Food Storage Time In The Fridge, read this article.